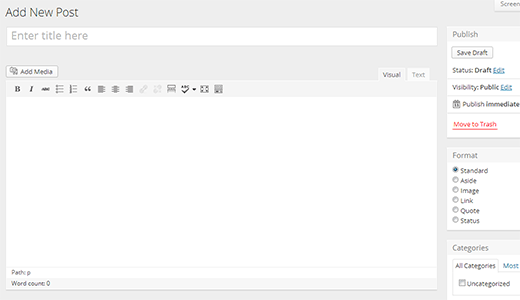 MP6 - Could This Be the Future of WordPress Admin User Interface? WPBeginner» Blog» WordPress Plugins» MP6 – Could This Be the Future of WordPress Admin User Interface? MP6 – Could This Be the Future of WordPress Admin User Interface? The User Interface team at WordPress has recently presented a new but secret idea about how the admin interface can be reshaped. They shared this idea in the form of a plugin which is code-named MP6. The goal of MP6 is to rethink the WordPress user interface by simplifying it. In the very early stages of this plugin, all you can see is the change in the design and color scheme. There hasn’t been much simplification in terms of features and the way they are displayed. However, we are already digging the new color scheme and fonts. This could be the future of WordPress admin user interface. If you want to try MP6 on your site, then the first thing you need to do is to install and activate the MP6 plugin. 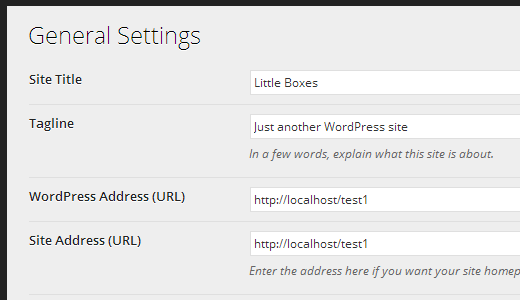 Upon activation, it will the change user interface for your WordPress admin area. First thing you would notice is the treatment of the admin sidebar and navigation bar. MP6 uses darker background colors and the same color for both bars, which allows sidebar and navbar to merge together. It also replaces menu icons and uses flattened icons. It uses blue instead of dark gray to highlight the currently active tab. The hover color for menu items is also changed to blue from orange. This color treatment makes user interface look more modern. It changes the background color of admin pages from white to gray and uses Open Sans font. Post edit area looks like this in MP6. This look is more compact, clean, and exciting. Remember MP6 is released as a testing ground for new user interface ideas for WordPress admin area. It will change frequently and things may look different than the screenshots above by the time you test this plugin. What did you liked or disliked in this user interface iteration? What would you like to see in the future? Let us know by leaving a comment below. I find it much better than the default UI. I didn’t really realize how “blah” the standard WP GUI looked until I installed this. Good stuff. 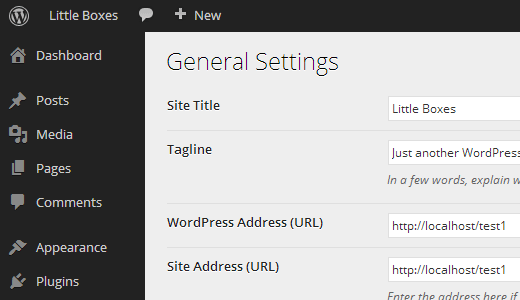 Thanks for the heads up about this new plugin or “sneak peak into the UI for WordPress”. 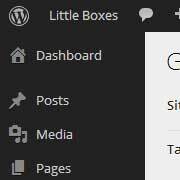 I have been anxiously awaiting the new 3.6 version of WordPress (and versions to come), because of the potential changes to the admin UI and possibly even “Post Formats” changes that are in the pipeline of the new versions. I really think that there are many great things to come for WordPress. I know this, at least the core development team is trying really hard to make some much needed improvements, and I think that the community should really get behind them and their efforts. Together we can all make WordPress better! However, as is usual with these types of updates, there will always be those people who Can’t stand it! (because they just don’t like changes) or even those who think They’re just focusing on the wrong things (because they think that the underlying code should be improved first). Ah…, ’tis the course of things on the world wide interweb! 1. First group — People who don’t like change: Embrace the new changes, and make suggestions to the WordPress team about possible improvements on the new interface (or maybe even suggest the ability to switch between the old and the new interface(s) so you can “Keep things the way they were, if you wish”)! 2. Second Group — Improve the Code First! Hey, if you feel so strongly about the underlying code, write your own improvements and submit them to the WordPress core development team for review and inclusion! Heck, if your ideas and/or code are good enough, you may even just get yourself a job on the WP development team! So far so good. I like the contrast. I would LOVE-LOVE-LOVE to see the ability to group pages and/or posts into directories/ files – or “tag” them like Gmail so I don’t have to scroll through pages and pages of them. You already have this functionality in WP for posts. It’s the categories or tags. Or alternatively you could just create a custom taxonomy which you can use for pages/posts or any other custom post type for use only in the wp-admin. I liked it a lot, but there’s one drawback – submenus are a bit too narrow so if there’s a plugin with a long title, it won’t fit – see the screenshot here. 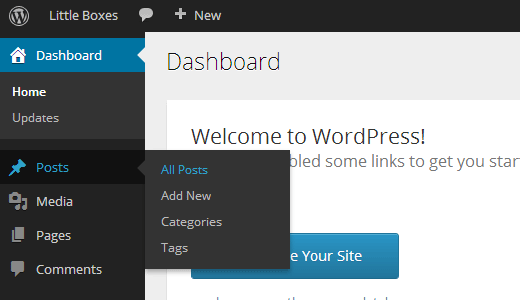 Could This Be the Future of WordPress Admin User Interface? Essentially this is just a skin? Although skins are cool, they’re not really going to revolutionise the usability of the admin panel are they? Flattening the UI for example, whilst being very in vogue is not going to help my non-tech-savvy girlfriend better understand how to use her WordPress powered site. There is nothing massively wrong with the aesthetics of the current version. The issues are much more than skin deep. There’s so many other more fundamental things that needs attention. Ironically fixing all that stuff would actually make skinning the admin even easier / more accessible. Keep in mind that the team responsible for the engine, though, isn’t the same team working on the paint job. I looks nice & fresh, I much prefer it to the standard interface. It would be nice if they allowed some degree of customisation, to prevent the naysayers complaining. I’m extremely new to WordPress, in the process of deciding on themes and stuff before I get my site(s) on-line. Kevin, I realize it’s been more than half a year since you posted your comment wishing for some customization, but I recently added a plugin to the repository which does just that. Search for “Admin Classic Borders” if you are interested. Can we add a feature where we can copy and paste widgets from one sidebar to another? Instead of going to the list of widgets and drag/drop it to the next sidebar? Or even a duplicate sidebar or add a sidebar. Then of course that could work like the menus where they could show up on specific pages if the functionality was built into the themes. This as a plugin is awesome! But I would never like it to go into the core. I was just thinking yesterday that I wish the UI was a bit darker. I stare at the dang thing 6 hours out of the day and my eyes start to hurt.